Saturday I hosted another Palmer Food Swap and I’d say it was a HUGE hit. We had a fair amount of swappers and the items that came were TOP NOTCH, so I’m feeling really happy about where Palmer Food Swap is right now.  I’m always looking to grow the swap so if you’re interested be sure to read up on the swap here, join our Facebook group, and as always hit the contact button over on the left and let me know you need more information, I’m always available. For my swap items I took a couple jars of the best sourdough starter I’ve ever owned, 6 jars of Curry Ketchup (recipe coming soon!) 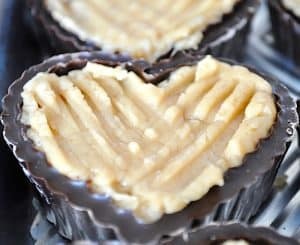 and 10 bags of Chocolate Heart Cups with Peanut Butter Filling. I made the hearts from this mold by Wilton (affiliate link-I will earn a small amount from Amazon if you purchase through my link). I first read about these adorable heart cups from a post on the Friday Frenzy link party. Crafting a Family shared them and I was in love. I immediately bought the molds on Amazon. I didn’t know what I was going to put in them but I wanted to make something with them. As Food Swap drew near I kept thinking about the molds and how to use them. I finally decided on what to put in them, something made with peanut butter. Then I had to decide between a whipped peanut butter frosting or something more Reese’s like. I finally decided on a Reese’s like filling because I was afraid frosting would be too sweet and it might weep causing the chocolate hearts to get mushy. 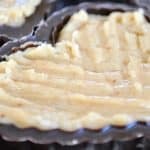 Make these super simple Chocolate Cups with Peanut Butter Filling for all your friends and loved ones. 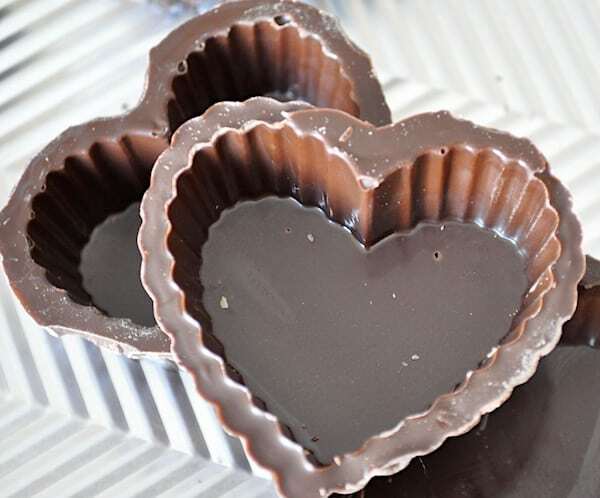 They're so easy to make you can have fun creating them with kids for Valentine's Day treats. What a fun treat! 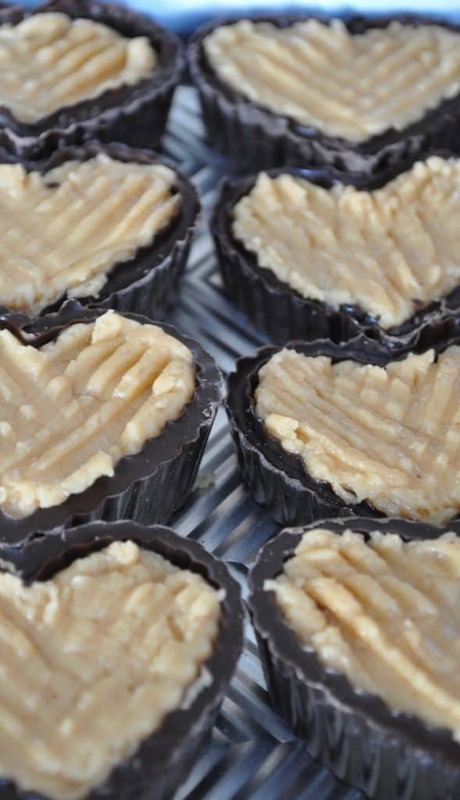 We love chocolate and peanut butter and now I really want a set of those molds!